Researching, writing and teaching the history of charity is something I’ve been exploring for nearly a decade. By looking at charities past we can see previous generations responding to the challenges they faced, from personal hardship to world wars. Whether or not they succeeded in easing the burden, their operation means they left a paper trail we can follow to help us understand what it was like to live in another time. Equally, it offers a chance to gain greater understanding of something fundamental to how we live as part of a community, a society. Our complex relationships with those around us cannot be reduced to a series of transactions. Charities, campaign groups and voluntary associations occupy a central territory where those relationships are worked out. But the history of charity is not only about the way we interact with others, it’s also about how we understand and make sense of ourselves. What does it mean to be ‘charitable’ or to rely upon ‘charity’? How do we explain giving our time or money, or turning to a foodbank? These are some of the questions I seek to answer in my work. To date this has focused on charity as a provider of hospital services in modern Britain, but I’m interested in the boundaries and relationships between charity and business as well. How can voluntary hospitals or charity shops bridge the two? How does Britain sit within wider international and transnational communities in trying to answer these questions? As well as seeking to understand and answer these questions in my own research and writing, I’m interested in bringing them into my university teaching. 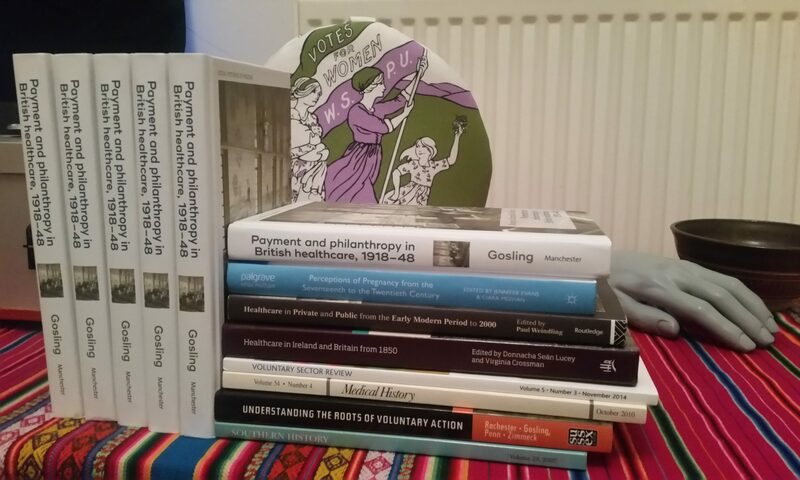 Continue reading "Retail and Community history workshop"
Continue reading "Launching Payment & Philanthropy"
Continue reading "Retail as Fundraising: Some Questions from NHS History"